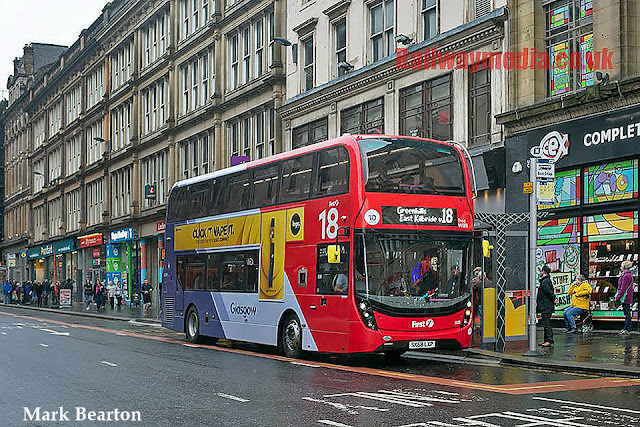 First Glasgow has recently announced (29th November) that it plans to invest millions in more ultra-low emission vehicles, with additional funding being granted from the Scottish Green Bus Fund. The business plans to invest in another 75 new ultra-low emission vehicles for Glasgow in 2019, which includes £400k of investment from the Green Bus Fund and an additional £16.35million investment from First Bus. This follows on from more than £14million of investment in 2018, which highlights the city’s largest bus operator’s commitment to improving the quality of offering to its customers while at the same time playing its role in improving air quality in the city. At an event hosted at Alexander Dennis Ltd’s bus factory in Falkirk earlier this month, Andrew Jarvis, Managing Director for First Scotland met with Cabinet Secretary for Transport, Infrastructure and Connectivity, Michael Matheson MSP to mark the latest award from the Scottish Green Bus Fund and to get a sneak peek at some of the new buses on the production line.